The rampage last June began with a shotgun blast that shattered the glass entrance to the open newsroom. 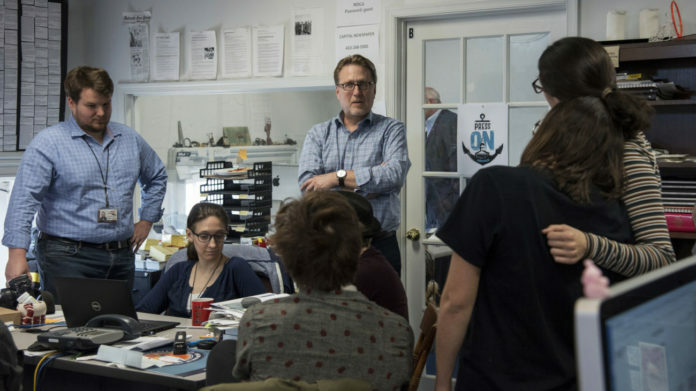 Journalists crawled under desks and sought other hiding places, describing agonizing minutes of terror as they heard the gunman’s footsteps and repeated blasts of the weapon. County police said they captured Ramos hiding under a desk. Authorities say he did not exchange fire with police.